Why Adults Are Using Dental Braces - Larry D. Molenda, D.D.S. Braces used to be a thing that mainly only children and teens had put on their teeth. 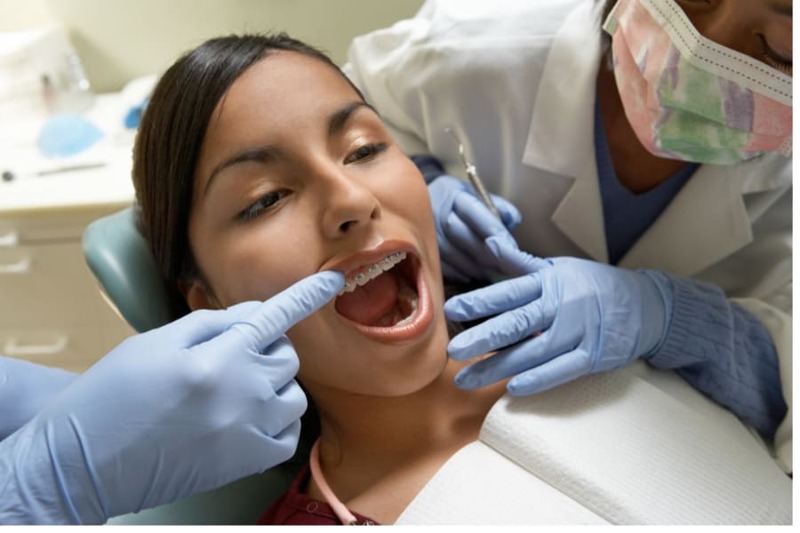 Adults nowadays are having braces installed in order to correct teeth issues such as bent teeth, large gaps, or bad bites. Around one million adults in North America now have braces, and that number is expected to continue to grow. First, in adults, the bones have stopped their growth which includes teeth. This means that there are a number of structural changes that braces can’t correct and for which surgery is needed. Second, you will need to wear braces for a longer period of time than a child or teen would because it’s harder to get teeth properly aligned in an adult mouth due to more rigidity. Third, you might need to include a periodontist in addition to your dentist and orthodontist as they can make sure gum disease won’t be an issue. Having misaligned teeth or a crossbite can lead to problematic issues such as food getting stuck between your teeth leading to decay. It also can lead to the buildup of plaque which can lead to gum disease and/or cavities. Having braces put in while you’re an adult can help people avoid issues such as bone loss, tooth decay, irregular tooth wear, and gum disease. Getting the perfect smile as an adult shouldn’t be discounted as merely a vanity project. Yes, it will make your smile look great and that’s awesome. There’s nothing wrong with wanting to look your best. Other people notice your smile and having a great one makes a positive impact. Beyond that, it helps adults to avoid big problems down the road as already mentioned. Even people who had braces as a child or teen could need them a second time. They might not have worn their retainer like they were supposed to or their mouths might have just naturally changed which a retainer couldn’t have prevented. There are plenty of options out there for adults who need to have braces installed. Metal braces are needed for complex cases because they are precise and can fit in small areas in order to correct things like crooked teeth. Invisalign or clear aligners are great for people who don’t want their braces to be noticed. They can even be removed so that people can eat or floss and brush their teeth. These are worn around 20 or so hours a day which is plenty of time to correct the alignment of teeth. Other options are also out there. For adults, braces will typically cost somewhere between $5,000 and $6,500 and dental insurance can cover some of this. If you think you’re too old to have braces you should think again because having them can improve your self-confidence and prevent serious oral issues. Being able to show a spectacular smile to others is something that is beneficial in a great many ways. If you are interested in braces or any other dental procedures, contact our dentists in San Marcos, TX.